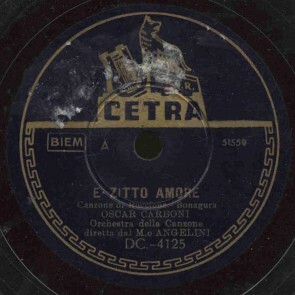 In the first half of the twentieth century the national repertoire consisted largely of songs in Italian and in local dialects, Neapolitan songs, folk ballads, instrumental music and ballroom music. 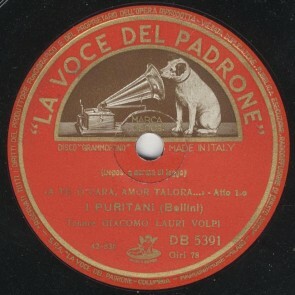 Although secondary, civil, patriotic, religious hymns and anthems and the social songbook (songs of protest and propaganda, Alpini and war songs) also played an important role for their multiple interactions with public life. 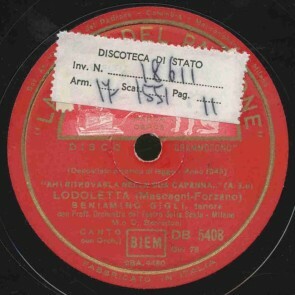 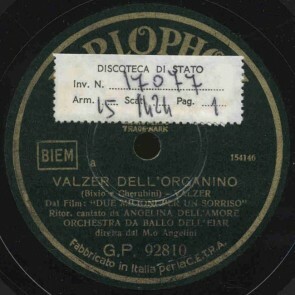 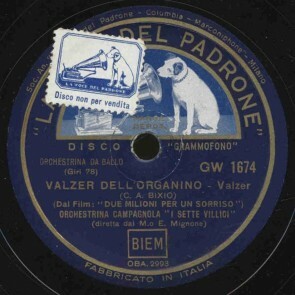 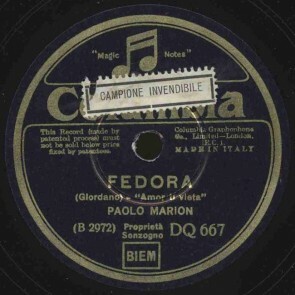 The first fifty years of the Italian discography include 78 rpm recordings that comprehensively document the evolution of the song and related forms and genres from the early nineteenth century up to 1950. 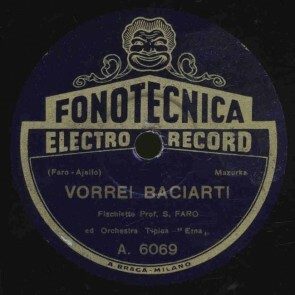 Besides the most popular titles of a repertoire known and appreciated around the world – especially as concerns the Neapolitan tradition, the real treasure of this fifty-year period – this section of the portal offers an unprecedented opportunity in terms of accessibility and comprehensiveness to discover a partly forgotten heritage that has never been so widely and easily available. 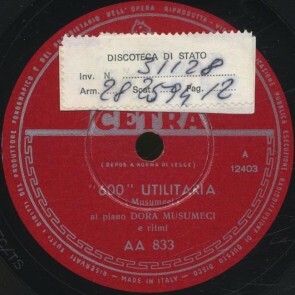 Scrolling titles and playlists, users will have the opportunity to retrace salient moments of national history, evoke atmospheres and become familiar with artists, authors and themes from the past that can prove extraordinarily current, starting from the many connections that, in an era of pre-globalization, the Italian song had already established with various foreign traditions.